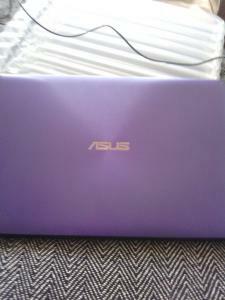 Hi i have a purple asus laptop for sale in very good condition. It has a clean install of windows 10. charger included asking price £130. Collection only. Intel(R) Celeron(R) CPU N2840 Processor. 1 TB (1000 GB) Hard drive. Intel(R) HD Graphics. 1 x USB 2.0 Port.